Lara Rabb is the founder and owner of Heavy Eyes Happy Hearts Sleep Consulting. 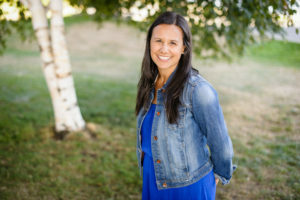 With a passion for children, and education, her journey in lifelong learning began as a certified BC teacher nearly 8 years ago. Her journey with children’s sleep began with the birth of her first (sleepless) daughter Halle, 4 years ago. In 2014 she became certified as an Infant and Child Sleep Consultant and Happiest Baby on the Block Educator, and in 2017 as an Infant Sleep Educator through Bebo.Mia. Lara strives for her work to honour each individual family’s needs and wishes. She considers herself a “conscious sleep consultant”, and in this role she seeks to find sleep solutions that are physically and emotionally sustainable for families. Lara approaches infant sleep by looking at what is realistic, and what is normal, and then brings in the balance of supportive sleep learning through hands-on settling techniques. Heavy Eyes Happy Hearts Sleep Consulting does not practice any formal approaches to sleep training, but focuses on sleep through the lens of the child. When you work with Lara, you will be asked to respond to your baby, comfort them, and honour their big feelings as they go through the changes they are experiencing. Ultimately the goal is to get the whole family more sleep, while honouring a child’s right to a secure attachment, and a parent’s desire to get more rest.